If you are like the average Edmonton homeowner, you’re always looking for some way to spice up your home — or you’re considering the pros and cons of buying a new house and renovating the one you have. If you buy a new house, though, a lot of your money will go to pay realtors’ commissions and fill government coffers in the form of land transfer taxes. Home renovations are a great way to get more for yourself out of every dollar that you spend. 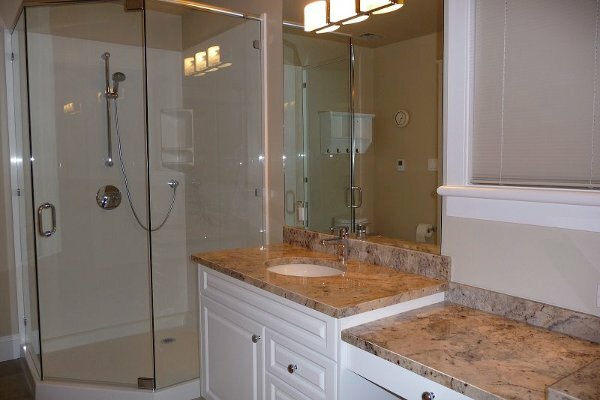 Edmonton Bath Products manufactures cultured granite, cultured marble and our latest innovation — Tyvarian. 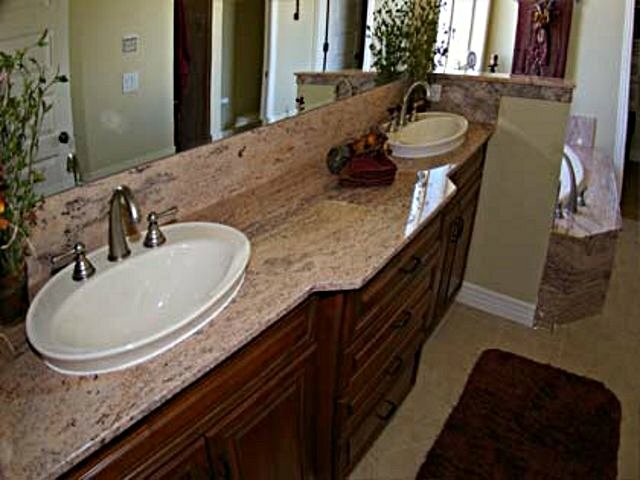 We turn those into custom vanity tops, bathtubs, shower walls and shower bases that are all manufactured locally and can be custom fit to your bathroom. CIBC recently conducted a poll of Canadian homeowners. In 2015, the average homeowner in Canada plans to put down $17,142 on home renovations this year. 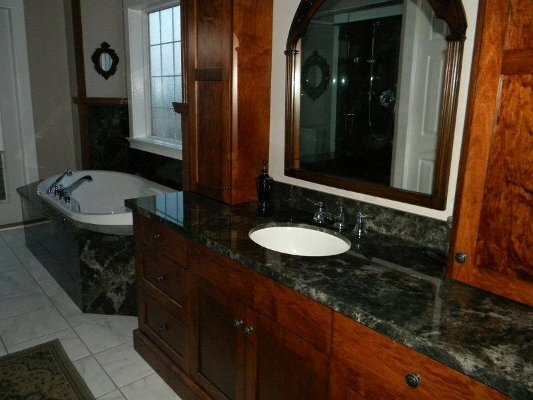 While much of that money is headed toward putting in new appliances or adding new flooring or a fresh coat of paint, bathroom renovations are also high on the list of priorities. Why are renovations so popular? One possible explanation is the fact that interest rates remain at historically low levels — while new home prices are skyrocketing. This means that there are a lot of people sitting around on top of a good deal of equity in their homes, but they don’t want to start over with a big mortgage on a house with a huge price. So they’re turning to home renovations instead, taking out some of their equity to fund the expenses. And why not? The housing base is aging in Edmonton, as many homes went up between the 1930s and 1950s, which means that they are ready to renovate. Those linoleum floors that were all the rage in 1940 or 1950? Not so much now. Some people are going back to those checkerboard, black-and-white tile floors that were popular back then, but they don’t want to go back to 1930s quality plumbing, to be sure, so renovations are taking place both in front of and behind the walls. Edmonton Bath Products opened its doors in 1979 in response to a need for locally manufactured and sourced materials for bathroom renovations. 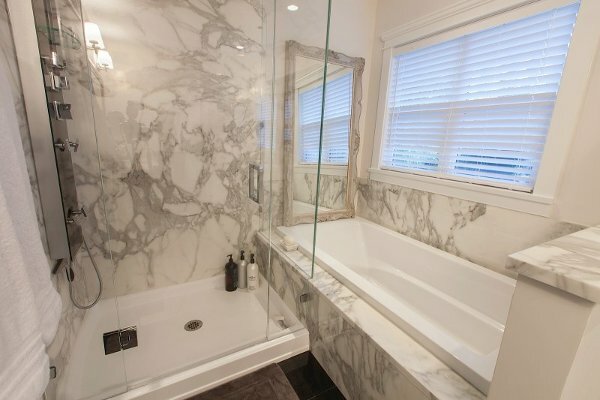 Since then, owners Darcy Wilkie and Kevin Coney have made a name in Edmonton as a source for the very best in manufactured vanity tops, bathtubs, shower walls and shower bases. 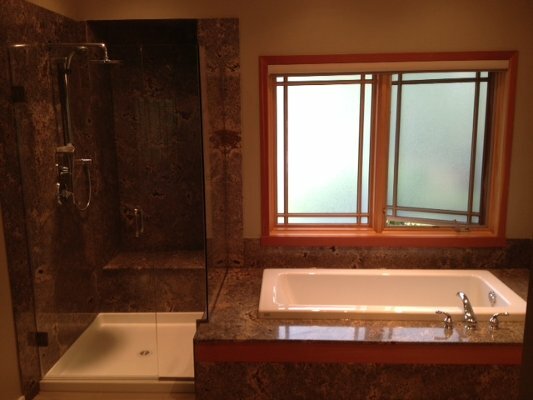 The company has skilled, trained craftsmen on staff to install the products in your newly renovated bathroom. 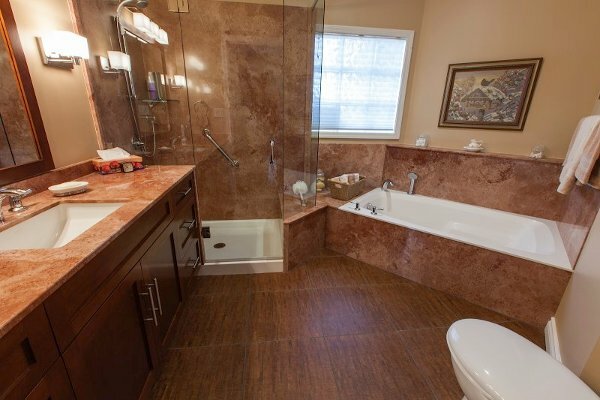 One common request we get is for the installation of a larger bathtub, or a bathtub and shower combination as part of a master bathroom overhaul. 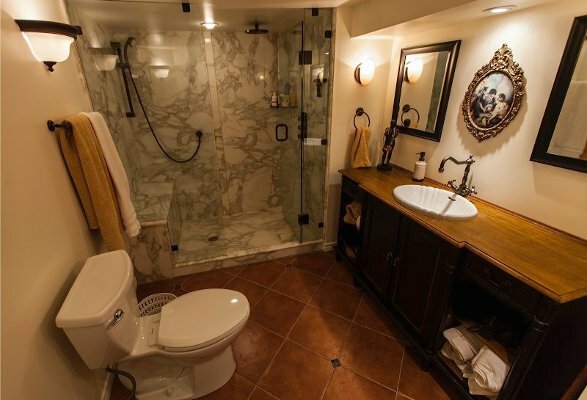 While homes built several decades ago have a particular charm that many modern homes lack because the builders have more of a cookie cutter approach, in those older homes not as much attention was given to luxury and leisure in the bathroom. As a result, showers and bathtubs are more pragmatic than aesthetic in nature, and many of our clients want us to change that for them. Instead of a standard sized bathtub (or that bathtub/shower combo where you pull the shower curtain closed across the tub), we can install a wider garden tub and a separate shower and take up less additional space than you might think. 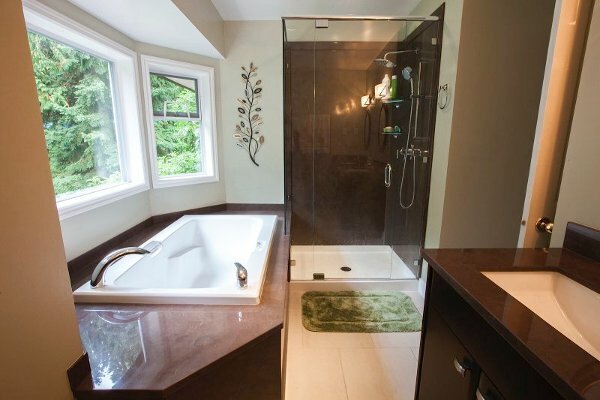 Some people choose to have a corner bathtub installed and forego the shower — or move it into a closeted space — while others add in a garden tub or other larger bathtub and then put the separate shower stall at the end, walling it only in glass. Using our manufactured Tyvarian surfaces as the exterior walls and backsplash for your bathtub adds more flair to your decor. 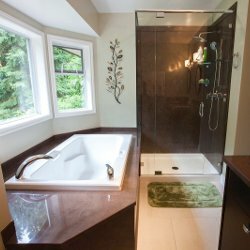 If you are curious about the best way to proceed with your bathroom renovation, one of our staff from Edmonton Bath Products will be more than happy to talk about the best ways to make your master bathroom, Jack-and-Jill bath or powder room fresh and new as part of your renovation project. Our company will send a consultant to your home to take a look at your available space and talk about options with you. We have spent the last 36 years in Edmonton building a base of loyal customers through a commitment to satisfaction and the very best in terms of service, and we look forward to building that same long-term relationship with you. 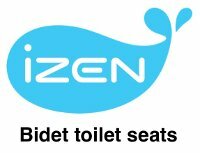 Copyright 2018 - Edmonton Bath Products Ltd.